Earlier this week, Samsung unveiled their new line of smartphones - the Galaxy S9 and S9+. After the unveiling at the Mobile World Congress in Barcelona, Etisalat, du and several retailers in the UAE have begun to accept pre-orders for the new smartphones. The new models come with a wide range of improvements such as better cameras that boast an improved ability to capture photos in low-light situations. The S9+, which comes with a dual-lens system, has dual-aperture and optical image stabilisation. The phones also come with AR Emoji - Samsung's take on Apple's Animoji feature on the iPhone X. But let's talk about prices. In the UAE, Etisalat has one of the lowest offerings for the new smartphones. According to their website interested customers can avail of their Smartpay offer to get a 64GB Galaxy S9 for the super low price of only Dh128 payable in 24 months. If you want a top range model then a 256GB S9 Plus will only cost you Dh161 for the same timeframe. The prices on Etisalat's website don't have VAT added, however. 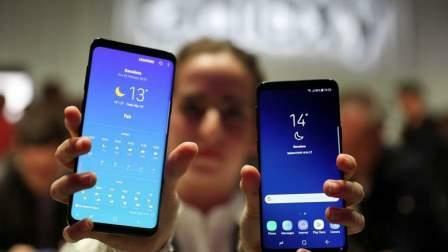 Using Khaleej Times' interactive VAT calculator you can expect to pay up to Dh134 for a 64GB Galaxy S9 or around Dh169 for a 256GB Galaxy S9 Plus. These prices are just close estimates and it's still best to check with the telecom. Another great offer is from Sharaf DG which is offering the S9 and S9 plus models with prices starting from Dh145 per month. It also comes packaged with AKG headphones worth Dh699. Du is also offering the new models for pre-order and the first 200 to do so will get some AKG headphones free of charge.